"It felt like I was on crack, I couldn't put it down!" — Robert Guinsler, Sterling Lord Literistic. "Art novices will read Ponzi & Picasso to understand the murky world of contemporary art. Art professionals will shudder from the familiar New York Times stories and second-guess the protagonist." —Don N. Thompson, London Times best selling author of The $12 Million Stuffed Shark: The Curious Economics of Contemporary Art. — Robert Wiedemer, New York Times best selling author of "Aftershock" and "America’s Bubble Economy." —Gail Blanke, New York Times best selling author of In My Wildest Dreams, and Between Trapezes, an Oprah selection. 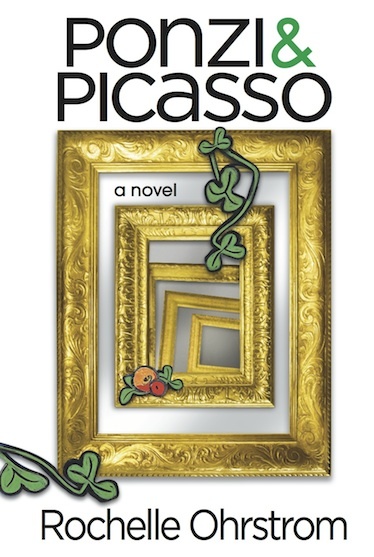 "Ponzi & Picasso is a heart-stopping read from an insider's view of the international art world where branding and marketing artists trump talent every time." — David Samson, best-selling author of 21 books: FunnyGuy.com. All Rights Reserved. Copyright 2019 by Rochelle Ohrstrom.